Picture the set of a late-night talk show, circa 1983. Allen Ginsberg is fat, bearded, and sitting in the interview chair. Long hair grows in unruly patches from the side of his otherwise bald head. His eyebrows sprout from his forehead like wild hawthorn in bloom. He’s wearing a tie-dye t-shirt with a hole in it. His fingers are stained from nicotine resin. Ginsberg, a former marketing researcher, wanted to talk about the generation gap, and what he said about the challenges youth had to face actually made a lot of sense. But although he certainly looked the part of “legendary poet,” this audience didn’t take him seriously. He simply didn’t appear to be a credible expert who they could know, like, and trust. Fast-forward to 2003. There he is: completely bald, with a black, long-sleeved shirt tucked into blue jeans. This time, it’s Seth Godin presenting at TED — one of the most prestigious speaking gigs. In a fluid and flawless presentation, Seth explains how to get your ideas to spread. He obviously knows what he’s talking about or he wouldn’t have been invited to speak. This audience wanted a credible expert — and they got one. Godin wrote the manifesto for modern advertising: Permission Marketing. He can break 7 of the 12 so-called rules of blogging — and get away with it. Why? Because he’s earned a tremendous amount of authority by showing up day after day for years, delivering something remarkable — concise, well-written expressions of his ideas. If we want to find our way out of the wilderness of obscurity, we have to fight for our own audiences. We have to earn authority, just as Godin did. 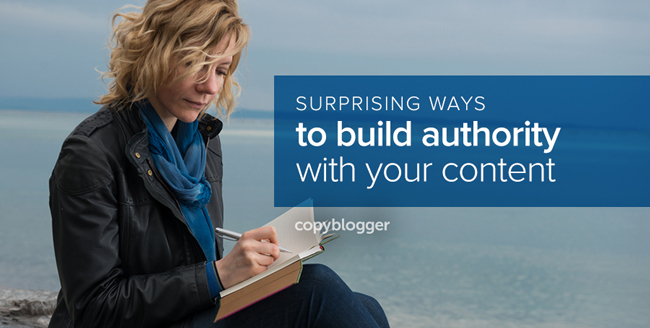 You won’t build authority by copying another writer — even a very good one — but you can improve your influence by following these 10 proven practices. Most customers expect you to say things to please them. They may even sense a little desperation. A little bootlicking. And they blow you off. This is one of the reasons I don’t suggest you say “I’m flexible” when in negotiations. Say that, and your opponent will suspect you’ll do anything for money. She’ll suspect you don’t care about quality or integrity. In other words, you can be bought … cheaply. You do your prospects and customers a greater service when you maintain your independence and integrity, defending your hard work and turning down requests. People will see that you actually have their best interest in mind because you’re not falling over yourself to kiss their bottoms. Did you know you can influence people simply by not influencing them? For example, you’re probably more likely to take the advice to buy a certain stock if you overhear the tip during a whispered conversation between two well-dressed men at the table next to yours than you are if a broker called you up with the same information. Give away high-quality content without asking for anything in return and you’ll find a much warmer reception when it does come time to promote a product. Your reputation should be simple, based upon a single, sterling quality — strategic thinking, say, or persuasiveness. This becomes your calling card. It announces who you are and gets people to shut up and listen. Seth Godin has a reputation for passionately spreading important ideas. That’s how he got the opportunity to stand in front of a TED audience and mesmerize those people. How he can publish multiple New York Times bestsellers. Discover that one quality that defines you — and work it to the bone. Remember that timid soul back in tip number two? The once-overweight hyper-athlete who lost weight through a diet of potatoes and a daily seven-minute assault on a ladder? That gig would never work if he were an insecure communicator. The more self-assured and confident a communicator you are, the more likely people will accept what you say. Say what you think. And say it with backbone. Audiences want people with conviction. You will please those who matter to you. And probably piss off those who don’t. Hard work. There’s no way around it. You have to write that ebook. You have to build that online course, membership site, or downloadable software. If you don’t ship, then what you say carries zero weight. Few people respect talking heads. We respect those who get up early in the morning and work late into the evening. Who seldom complain. And who deliver products we love. We’ve always been taught that “you get what you pay for.” In fact, it’s common for a prospective customer to distrust a product because it’s too cheap. Yet, when it comes to setting our own prices, we often shoot much too low. This is a mistake. What are my success stories? Is it true that people can’t afford my services? Do I believe that anyone can do this? How can I save the world if I don’t have any money? Let’s explore that third one. All through high school, and into my early years as an adult, I thought that everyone could write — that writing was no different from walking or doing cartwheels. I didn’t value what I did as unique. It was my wife who pointed out this simply was not true (reason number 428 why I married her). What I did was truly valuable. And only grew in value through training and experience. I no longer believe anyone can do what I do. And neither should you. Here’s the deal: that which is rare is appealing. Long lines during gas shortages. A run on bread and milk before a blizzard. Black Friday sales. People are motivated by the thought of losing something — even if they don’t need it. And this appeal is stronger than one based on gaining something of equal value. Limited number: Produce only 100 copies of your artwork. Hand-build a car. Give away only 1,000 invitations to use your software. Limited time: A sale that ends in 24 hours. A jam-packed workweek that only allows for two openings for clients. If we put Godin and Ginsberg in the same room to discuss marketing, would we take Godin more seriously than Ginsberg? But, if they spoke about artistic liberty or the mechanics of a great poem, we would probably take Ginsberg more seriously. We live in a message-dense, decision-rich environment. It is an information onslaught. To make sense of all of this content, we want narrowly defined authorities. We want credible experts. That’s why your reputation is critical. Don’t let others decide how you are perceived. Become the master of your own reputation. Editor’s note: The original version of this post was published on January 14, 2013. All very interesting… and I can see a couple of things that I need to work on, and a couple that I am already doing pretty well. I have to say that it won’t work for fiction writers that have no following to price their works at or above the level of those on the A-List – at Amazon, or anywhere else. If you’re creating a book about a specific topic that is the ultimate work on the subject (non-fiction), then you have more chance of success by pricing higher. There was no clarification in your #9 above, Charge Premium Prices. You forgot one – be charismatic. Someone could do everything you mention above, and without charisma you might as well sit in a factory and make shoelaces. If nobody likes you – nobody returns to see your schlock, no matter what sort of expert you might be. I tired of Seth Godin about a year ago. He said something about his “un-monetized website”… all while selling his ebooks from the front page. I didn’t get it. How is Google looking at each site and measuring the authority of its writers? Return visitors? Google + subscribers? Frequency of website mentions on Twitter / FaceBook? I doubt if Google has any idea at all that I’ve authored more than 25 books in the last four years. How do I get all that under my name and get credit for it? I write using more than one name. How do I tell Google that I have more than 35 websites that are live right now – and that I wrote about a million words on them by myself? How do I tell Google that I’ve created many online businesses, some of them still going after more than a decade? How do I tell Google I’m an authority on multiple topics, not just writing books. Hey Mike, great questions. Claiming authorhship through Google will help consolidate all of your content across those web properties so Google knows that Mike Fook on website 3 is the same Mike Fook on website 24 (are those guest posts are your own website?). You won’t get me to name any names, but I can think of a few people who have solid authority but aren’t particularly charismatic. It certainly helps, but charisma alone won’t do it. And there can be something refreshing in someone who’s not the wittiest or the most charming, but is honest and makes themselves useful. True dat. I seem way more clever in print than in person. Yes. Charisma too often substitutes for integrity. It takes a lot of concentration to keep up that image… and they have to keep it up or they will lose their audience. The real work is often done back stage. If you are buying entertainment for the moment, charisma is good. If you want focus and attention to your details, steer clear of the showmen. Demian Farnsworth had some good advice for you, but in answer to the question of how you can get credit for material that you’ve written under pseudonyms (or perhaps anonymously, in some cases), I’d point out that the answer is likely to be “You can’t” if you keep your real identity secret. If it’s any consolation, writing under pseudonyms in the offline world works the same way. A handful of book editors may know that Jane Buck is John Doe writing under another name, but few readers, librarians, or book reviewers will know that–or, if they do, they may feel that it’s inappropriate to spill the beans. So John Doe has to weigh the advantages of using the “Jane Buck” pseudonym for his new book, DIARY OF A TRANSGENDERED AUTHOR, against the fact that his publisher may not be able to splash “By the author of the New York Times bestseller JOHN DOE’s MACHO MEMOIRS” across the cover of his books that carry a Jane Buck byline. Bottom line: You get to choose whether to claim authority for multiple topics. Google couldn’t care one way or another–it’s entirely up to you. Ths list just keeps giong and packed with quality information! I am going to have to come back because I only go tthrough about hafl, but what I did really has me thinking of some things that I need to plan for this year. Also, I must admit and will be honest I have shoot myself in the foot more than once by trying to win over a client, friends, or potential job I believe by saying I am flexible. You nailed that on the head that statement just make you should like you willl do anything even if its bending over and taking it. The quote by Robert Delaney sticks out in my mind from this article. Your reputation is something that takes years to build and only five minutes to destroy (like with one bad tweet). It’s important to get up in the morning, do the work, and work hard toward your goals. I agree with Mike’s post about fiction writers and monetizing their work, though. RIght now I’m published through a small publishing company, and they’re pricing my work similar to other authors that are fairly well known. I don’t agree with this, but I have little choice in it (though I’m working on it.) With fiction, the name (and reputation) means you can charge more. I do agree with you, though: not everyone can write well. It’s a talent as much as playing a piano or dribbling a basketball or being able to sell ice to an eskimo. Using your ability to its full extent and standing up for your expertice in writing are important things to do. Somebody wrote a while back “some people just shouldn’t write.” I agree, or at least they should burn the first five years of their stuff. Otherwise you look like the American Idol contestant who is flabbergasted when they learn they can’t really sing. I have started to become a bit weary of most “authoritative” figures especially when they pedal advice, strategies and things they do now when very few of them say what they did when they were starting out – point #1 and #2. This leads me on to proof as it’s something I think should have been added to the above list, nevertheless, still a great list and very valid. I really appreciate point #8 on the list, especially the article by Robert Delaney and Twitter. Yet to find anyone who can quantify exactly how profitable twitter is in terms of marketing and return on time invested. “Act against your own self interest” aka Be Generous is huge. When you serve others, they will int urn spread the word about you. That’s how your reputation gets built. I am just starting so this post is really valuable ! Thank you. Ten terrific tips here Demian. As soon as you flipped the script on readers in the final sentence, I knew immediately how to respond…all thanks to an idea fresh in my mind from the article that came just before this one in my morning RSS feed, a quick piece by Danielle LaPorte on tracking your integrity … namely by doing what you say you’re going to do. I think this would fit great as an 11th tip in this piece. Authority, specifically the trust portion of authority, is built up or eroded over time by how often we do what we say we’re going to do…or fail to do so. This has been a blogging failure of mine at times in the past, and it’s among my top priorities to clean up moving forward. If you say a post series is coming, and tell readers to plan for it every Wednesday but then you don’t follow up…you set the expectation that your plans and schedules are not to be trusted. Don’t make the promise in the first place. Think about you say and be sure you’re going to do it. As writers, all we have are our words. If readers cannot trust them, it is going to be very difficult to develop authority with them. With this foundation in place, the 10 tips you describe above all become infinitely more powerful. I’ve made the same mistake: making an offer I can’t uphold. The best way to recover is to admit your mistake. Transparency is critical. Of course this can not become a pattern–in other words, never make the same mistake twice. Then you’ll lose credibility no matter how much you apologize. Consistency will build authority, too. Absolutely! That’s a great point. Admitting mistakes, especially before they are even pointed out, is a great way to turn a potential negative into a positive because it builds trust in its own way. Wow! Very interesting tips and advice. I’m going to go back and read it again. Tons of useful information. Thanks SO much! This will help me a great deal. One mistake I do make is discounting my rates. I’m afraid that they will not hire me and I typically make that same misake time and time again. Ugh! Thanks so much. I’m in the second year of a sole proprietorship, and growing my audience and by client base are my two main ongoing goals. When it comes to “looking the part,” for me, that means a professional online product, so I’ve hired a graphic design firm to overhaul my portfolio site and WordPress blog. Since I’m in a creative industry, I feel my materials have to “look the part,” too. I’m also hoping to grow my audience by appearing on a podcast, attending a conference, and hopefully being a guest blogger and attracting a guest blogger to my site this year. Those are my micro-goals for 2013. But the one thing I’m struggling with is pricing. It seems as if creative firms already have their budget laid out when they contact me, and the pricing varies so widely between firms. Is there really a benchmark for writing pricing out there, or does it really just “come out in the wash” over time? I’d appreciate some insight into this. Thanks! Sabra, are you an order taker or a demand generator? Order takers are just that, taking the order from someone else, usually at commodity pricing. Demand generators create demand for their services, usually at premium pricing. Demand generators take the time to educate their market – building likability, knowledge and trust in the process. And through this process, they become more than an order taker, but a part of the overall solution. Hence, by the time a project is ready for fulfillment, the demand generator has probably been consulted with – either directly or in-directly – and the “value” of the premium pricing has already been acknowledged and factored into the budget. Great question. I’ll take option 2. And I’m guessing the “generation” of the product (and hence, the demand) comes from the service provider in these cases more often than the client as well. Thanks for the advice. I’ll keep this in mind. Thanks for the input, Sean. I have a millionaire friend who often says: “You can be famous or you can be successful, but it’s hard to be both.” I think that’s true. Fame to some may be success, but many mistakenly believes it’s a means to an end and, because of its trappings, never actually get to that end. Guy Kawasaki did a live stream interview yesterday that echos some of your points here, Demian. http://youtu.be/M_mMGOPLMlQ I particularly liked the fact that he advised not to jump into publishing unless you actually have something substantial to share, and then proceed to share it wisely. That was his basic point, and yours. Great article. Excellent, high caliber post. An important reminder to value oneself and value what you give. Thank you Demian. My plan has been to just work hard writing every day – I see that I need to focus on all of the things mentioned here. And can I just say that having to do high school is seriously getting in my way! Absolutely we should be the masters on our game, but the biggest bet to become authority in your writing is to provide high value content that solves a particular problem. Superb post. I especially related to #8; low profile does not equate “a nobody”. Thank you. As always, an excellent post! Love the parts about not charging enough and not everyone can write; still learning to believe that! The way I plan to establish myself as an expert is to become more intentional and habitual about my learning and writing. I have been reading an amazing book, called the Power of Habit. It has helped me identify my habits, which ones are good and which ones keep me from getting to where I want to go and it has helped me understand how those habits formed and how to change them. So Step 1: is identifying my current habits. Step 2: deciding which need to be changed. Step 3: altering the cue, routine, or reward of the habits I need to change. Step 4: enlisting accountability partners to help keep me accountable to the habits I am trying to create. Our bodies are extremely adaptable and become tremendously skilled at habitual tasks. So if I can create a habit to regularly read, study, learn, process information, and communicate it regularly, then I think that is my best shot for establishing myself as an expert. Thanks a lot for your post Demian. Really enjoyed not only your points, but the inclusion of illustrative examples and links to other interesting resources. Will be sharing via Twitter later today (@wiredimpact). #8 seems to be the focal point (for me) to all of these items on the list. We can choose to work smarter by doing our diligence. We can read (and sometimes write) brilliant How To or list posts all day. We can study the psychology of persuasion and incorporate that into our writing. We can study the masters and soak up all of their great ideas and infuse that with our style. But Ricardo’s comment on Twitter is the the most important point of this whole article (IMHO). At some point you’re going to have to actually sit down and do the work of creating something remarkable, to quote Seth Godin’s mantra. But within that hurdle lies finding your own unique voice and making it so easily recognizable (a direct result of your authority) that your work is constantly sought out for its authenticity and value, which could be informational, emotional or purely entertainment. Then you’ve got to ship. No ship, no authority. No authority, No one listens. Excellent. A summary would be work hard, let your excellence sell your message, but be ready to back it up. This is encouraging today. Thank you. You have given great info here. I recently read a post from Marcus Sheridan about the death of single author blogs. With what you are saying, we can establish success being single author bloggers, we just have to break from the pack to do it. Great article, I have one thought on limited time and seats — only works if you are consistent. Too many “marketers” try to abuse these tricks and state that there are only 5 spots left for an offer then go on and sell it to 5,000 other people… Don’t do that. Yes, that would be deceptive. The most important revelation that I took away from this article is that there is an enormous difference between writing and compelling. Anyone can put words together and create a story, but few can compel you to really pay attention. Those who can, earn your trust and loyalty. Great article! Don’t you think that those guidelines could work for the entire company, not just one writer? And build authority in any business sphere, not just content creation? This is a brilliant article (as usual:-) there are lots of thing I need to pay attention to. One of them stands out more than others – it’s NOT charging a premium price or giving away my products for free. It’s very interesting how Ramit builds his reputation with his customers – I haven’t come across any marketers who’ve done that. Most will accept thousands of dollars without looking to see if people qualify – even if you have to submit an application first, the application is always accepted. The ability to walk away from a proposition is one of the strongest positions you can ever have. And I think it does ton to your character: you actually look like you have a backbone and principles. And of course it builds trust as people recognize you aren’t after their wallet. Playing hard to get, it’s fun. . Funny that the Latin origin of Authority (Auctoritas) and Author (Auctor) share the same root. You mind if I steal that? That’s freaking awesome. To build authority, you need to be willing to teach people how to make the most of the good or service you have to offer. You can be the most talented ____ in the world, but that skill will only take you so far. That is especially true if your field of expertise has any stigma around it. The thing that makes a master into an authority is his ability to teach people exactly how to use his stuff to make their lives better. Good Post! One of your best IMO. One of those pieces with so much takeaway value I’m bookmarking it. And I’m strict on what I bookmark these days. I’ve begun actually taking steps so research takes a back seat and I’m finding the steps fun once I get to it. I like marketers who are singular, individual and go against the grain in more ways than one. I admire Ramit Sethi for his principled marketing. I like another marketer who kept the price of a basic beginner’s product extremely low. Why, you ask? Seems to contradict what you say. But there’s another way to look at it. Like a lot of people these days, I was decimated by the economic crash and am currently on minimum wage. Unable to afford any other kind of help, I was in desperate need of the product to get started. I was able to part with the few dollars it cost — and I did get started with it. As for Ramit, I happen to be one of those who disagrees (mostly) with some of his decisions. Doesn’t matter. I’ll still follow him, and buy from him eventually. Disagreeing doesn’t mean I find him any less of a quality marketer, less principled or that I admire him less. It just means my own decisions may be somewhat different. We’re none of us copies of one another — or shouldn’t be. Again, great article. Oh … to write such quality! Thanks, Demian. I’m not sure if I’d put a low-priced product in exactly the same category as a free product. The information product I referenced gave value in far too many specifics for that. How many free reports have you read that were good, but really just lacked … the specifics. That’s why they were free. You fill it up with “Step 1 … do this,” “Step 2 … do this,” et al, with no prior knowledge assumed, and you’ve got value you need to charge for even if it’s a nominal price for someone just getting started, who may have little to start with. It seems a thin line between free and low but, believe me, it’s there. I firmly believe that marketer could have charged a tad more and still done well. And it wasn’t as if they were making a preconceived judgment about what customers could afford. That site’s target market included many people in higher brackets. It’s just that … how could I help but admire that marketer’s compassionate admittance that many people really are having a hard time today. It would have attracted my attention no matter what. I was an expat English teacher and copy editor. Now I’m a … warehouse worker? Don’t worry, I’m not crying over it. 🙂 There’s learning going on here I hope to ultimately share to help people. My own blog, when it goes live later this year, will be geared to expats and soon-to-be expats looking for ways to fund ultimate freedom. But my first site, ready shortly, will market my editing services mainly to blogs and websites. I think this is good example of why testing is such a good idea–especially when it comes to price–because somewhere else in this comment section somebody explained how they raised the price and doubled the response. And by the way, one of my best jobs I ever had was in a warehouse. I really connect with speak your mind and do it with authority-clear, concise and to the point. I know my major setback is from my childhood programming; children are NOT to be seen or heard unless looked for or spoken to. Now I have a very hard time getting in front of my niche. I’m always looking around waiting for someone to tell me I didn’t have the authority to say what I said. I’m sure readers can feel it when they read what I write, which isn’t much yet. I think a lot, write a little…oops! But, if I create my own reputation, what difference does it make what anybody has to say? My reputation includes the authority I need. Great Article! Definitely a keeper. Can relate. Breaking early programming is hard, but possible. Reprogram your mind with the right stuff (books, videos, podcasts) and learn how to defend your work. Be proud of it. Simply being an author doesn’t make one an authority, although there are writers who think it does – nice to take that away from your terrific post/comments, among many other valuable ideas. Thank you! Yep, just because you say you are a writer doesn’t make you a writer. You have to build that body of work. But that’s still not enough (otherwise every teenage Tumblr blogger would be a writer). That body of work has to be good. Even better if it’s great. Loved the anecdote about William Zinsser. It’s like the pitching coach that goes out to the mound to settle his pitcher down when he gets wild. Sometimes, all he has to say is: “Trust your stuff.” When you “trust your stuff,” you’ll loosen up and perform better. And Sean, thanks for the Latin lesson. That’s golden! Great analogy, Jesse. Thanks for sharing. I like the charge premium price section. Sadly, way too many writers don’t ever think about that part in their business. Thank you for laying this out loud. “Convert effect” spoke to me very clearly. I’ve been writing some blogposts aimed at parents who want to be better informed about looking after their childrens’ teeth. Writing them as “the dental professional” wasn’t working for me, it didn’t sound like my voice and honestly, wouldn’t be something that I would want to listen to. Writing as the mum who, in spite of all her knowledge, ended up with one of her kids having decay problems and having to figure it out from scratch again sounds much, much better. Thanks for this post! Holy smokes, that’s a great story coming from a dental professional. Good for you for recognizing what wasn’t working and then being willing to adapt. I relate to that truism: ‘it’s not uncommon for a prospective customer to write off a product because it’s too cheap.’ I once had the privilege of working with the pricing guru John Winkler. One of his maxims was: if at first it fails to sell, double the price. With an intangible product, price is often the only perception of value that customers have. Provided yours is a quality product, its price will dictate the degree of their satisfaction. I recently had an opportunity to test that. by accident. I raised the entry fee for my on-line story contest from $7 to $19. Frankly, I had been overwhelmed by schlock entries and wanted to suppress the entry volume. Unfortunately, I got twice as many entries. That’s superb advice and a superb test. Filing both away. Thanks for sharing. As cliche as it sounds, this entire article spoke to me. Why? I have no idea who I am as an authority figure, or where I want to go as one. So I’m an online writer? There are many of those. So I love writing about geeky topics? There are more of those than windmills in the Netherlands. What hope do I have of becoming an authority from my passion for culture? Your post I believe will guide me towards finally answering some of my questions. Thank you for this! Now it’s time to sit down and do what #8 suggests: ship until I’ve figured out my authority. Another component of a powerful persona is «the flaw». Nobody and nothing is perfect…so admit any flaw…just like it was said in the comments here. Now that I think of it, all the best heroes have a dark side, a weakness and that’s what makes them more «human». Yep, it all boils down to vulnerability. More on that here. More on that here. Really, a valuable post. With Twitter and the rest of the Internet, it’s so easy to develop a “following” without really having much to say, or without backing what you say up. But like that interchange said, you still need to do the work. The old saying “actions speak louder than words” comes into play. Sometimes you win people over by doing rather than saying. I’m just shaking my head saying, “Ain’t that the truth”” after reading this post. I needed to hear this, because like Bree earlier in this stream, I really don’t know my authority niche. Although, deep down, I know I have one. So, I’m going to speak MY truth boldly, stand my ground and double my prices. If it doesn’t generate more business, at least I will feel more authentic. Thanks for sharing all this smart thinking. I loved the part about Ramit Sethi. During the early days of my music school, I remember turning some people away…even referring them to places I thought were more suited for them. We were struggling and times were very stressful then. There were so many sleepless nights and countless arguments, but something made us stick with it. Thank you for such an insightful, educational, and inspiring piece. Definitely Evernoted. When you could use the money it is a lot harder to say no. But principle above profit will reward you in the long run. Glad to hear, Melissa, and thank you for stopping by to comment. Society trains factory robots: we learn to undervalue our opinions, our uniqueness, our best efforts. Then when we set out to do something different (like run a business) we look to the usual authorities, and they tell us to push sales like a shark, because that used to work. As Seth Godin has been arguing, the tables have turned and the old way is no longer safe. It doesn’t work. Success now demands authenticity, integrity, and a higher calling. Prerequisites for authority. Indeed the tide is turning. But where there is ocean there will always be shark. What a great post. So many valuable nuggets of information. I especially identified with #1. I think that’s an excellent way to identify yourself as somebody with integrity. In the anonymous world of the internet that can be a pretty difficult task. I think it also puts you in the right frame of mind in that you show that you’re determined to act in the best interests of your readers, subscribers, and customers. I also like the Ricardo Bueno tweet. In this day and age so many people want to hit it off big right out of the gate, and they tend to under appreciate or ignore the amount of actual work that goes into that type of success. And doing the work is more than just showing up and doing the basics. It includes all of the behind the scenes stuff that leads to your success. It includes your ongoing education. If you’re not constantly learning, you might reach the peak, but it’s just that, a peak. You’re certainly not staying there. Both of these things really stood out for me. Thanks again for such an insightful post. This one’s going to be bookmarked for later reference! I re-invented my blogging platform, cut down on the amount of blogging so I can finish my novel and write more relevant posts–posts that take longer than a few minutes. Excellent and very inspiring post. I like the fact that number 1 is principle centered and it is essential for anyone’s foundation. Without integrity, nobody wants to do business or network with you. I’ve been back several times now and I still discover new, interesting things reading through the article. This is indeed one of the best articles I’ve read for a while. That said, working on my confidence and focusing on a particular subject I’m really good at haven’t been easy (perhaps that’s part of the reasons why I keep coming back to reread this post). I might have to reinvent my blog and be meticulous every step of the way. That’s great to hear, Wyatt. Glad it’s been so useful for you. Excellent tips! Thank you for these. Google Authorship is a very good way to build trust and in the future Google will look to rank content that comes from an author who is published on respected sources. I really enjoyed this article. So much of what was said took me back to different experiences I have had while building up my blog. Thanks so much for putting this article together. i’m looking forward to discussing this article with my blogging group. It will be interesting to get their take on the information you presented. Wow. I´m just about to start writing my own SEO blog which I hope will help with building my authority in the business. This was absolute gold. What a really great post. I remember when I started my music blog in 2009. I was just posting good content that was helping beginner musicians. After 4 months I started getting messages from online schools who wanted to buy advertising space on the blog. I didn’t even realize I was out-ranking big sites. With no internet marketing knowledge like Keyword research and optimization. That is very powerful according to my experience. I’m an authority in my niche(music…) because of the above words I quoted. It’s been a while since I read a good blog post like this one so Thnx a lot Demian. Seth Godin has, obviously, been very successful…no one can argue with that. But his daily blog posts are generally obvious platitudes, coasting really. I check in over there periodically to see if there is anything valuable, thought-provoking, or even interesting. There isn’t. Yep! Some of those I most admire online are low profiles who wear many hats and yet are humble enough to not allow ego to get in the way. No hype genuine hard work and compassion, I’ll take that any day over charisma – which is often just a facade. When I first launch my new business, I knew I was charging well above market rates. I knew it would scare most people off. In fact, I referred people to another service if they wanted lower quality content. I still have so much to learn, thanks for this instruction manual. I love this post. A friend sent it to me today (as today was a bit of a struggle) and it helped light a fire to keep pushing, keep working and keep fighting 🙂 Thank you for the touch of inspiration! Hey, sorry to hear you had a bad day, but glad to hear this cheer you along. That’s what it’s supposed to do.